Last night was the General Relief Society Broadcast of our church (for women 18 and older)...and I missed it :( But thank goodness for technology and the internet!! I watched it all this morning before church :) And it was most definitely the perfect way to start my Sunday. 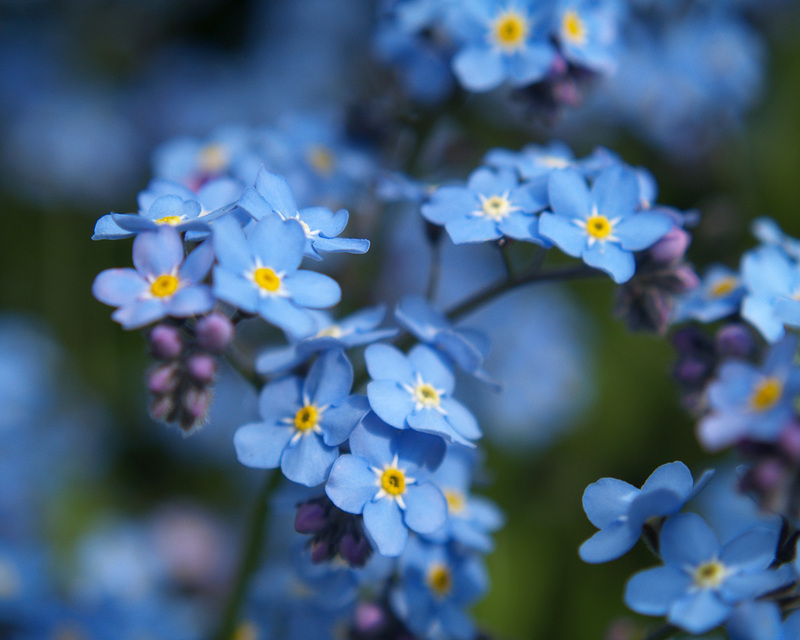 A talk that really moved me, was President Uchtdorf's as he spoke about the lovely, delicate Forget Me Not flower...and how sometimes we may feel like that flower, which seems small and insignificant compared to other larger, more colorful flowers. But in God's eyes we are all beautiful and unique...and we should never forget that He divinely created each of us with love. 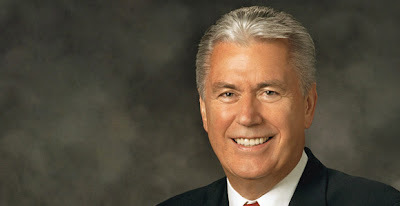 There are five petals on the tiny flower, and President Uchtdorf shared five things that we should never forget...below are the notes I took of what really struck me. First, forget not to be patient with yourself. God knows that I am not perfect...along with the people that I think have perfect lives. I need to not compare myself or my family to others. Everyone has strengths and weaknesses...and God wants to eventually help me turn all of my weaknesses to strengths. I need to be patient and compassionate with myself, just as Heavenly Father and Christ is with me. Second, forget not the difference between a good sacrifice and a foolish sacrifice. Am I committing my time and energies into those things that matter most?? Remember to have an eternal perspective. Third, forget not to be happy now. I have goals and hopes and dreams...but I can't have all of them now. So I need to strive to look for the joys and beauties in simple everyday moments that make up a full, truly happy life. seek out the majesty, the beauty, and the exhilarating joy of the 'why' of the gospel of Jesus Christ. ... The 'why' of obedience sanctifies our actions, transforming the mundane into majestic. It magnifies our small acts of obedience into holy acts of consecration." Fifth, forget not that the Lord loves you. With such tender power, he declared, as an apostle of our Master Jesus Christ, we are not forgotten. On those days that seem dark, when I seem alone and insignificant and oh-so imperfect, I need to remember that I am a daughter of a loving Heavenly Father. He loves me and I need to allow that infinite love into my heart, into my home, and into my life. Such a beautiful message that I think all women, men, and children should hear. Anyone reading this (on the internet, not in the book that I'll eventually print:) click here to watch the meeting in full. Happy Sunday!! This talk was absolutely beautiful. I loved it and love President Uchtdorf! Haley you are so dang cute! I just had to tell you that and I love reading your blog. You're adorable and congrats on the baby!!! that talk really was amaaaazing. so grateful for president uchtdorf and his undeniable wisdom. oh i loved this talk!! it covered everything i needed to hear. Thanks so much for blogging it. it truly is amazing!! I too was not able to attend, but watched it just an hour ago. So powerful! I also loved President Uchtdorf's talk. I especially loved when he talked about being happy now and the golden tickets. I am so happy in my life right now, but still find myself thinking, "I can't wait until...". We need to enjoy life right now! I loved reading over your notes. Thank you for this post. Thank you for the nice comments on my blog. We should go to the zoo sometime together before Grant turns 2! Kids are free until they are 2. Brooks would LOVE it! He would be calling everything "doggy" and Avery would be barking at everything, haha! OH! And I forgot to tell you! I saw a kid on a leash and totally thought of our converstation we had about leashes, haha! I tried to sneakishly take a picture to send to you, but was unsuccessful. :-( Speaking of being sneaky, please do catch on camera Brooks being sneaky, too cute! Oh, and on Wednesday my mom offered to watch one of my kids so that I can just take one to enjoy the french toast goodness with you and Brooks. I think I'm bringing Avery as she is easier at restraunts lately. Anyway, I'm so excited!!! Thank you for posting this, I did have the opportunity to go and Pres. Uchtdorf's talk was amazing! He made such wonderful points about life and womanhood, I am grateful we have such strong priesthood leaders who constantly give their guidance and direction. I loved this message too! And thanks for sharing what you loved about it. I'm not going to lie, I was so tired when I went to this meeting and I kind of zoned out during the first little while, and then when President Uchtdorf started on these wonderful "Forget Me Nots" I pulled out my pen and paper and went crazy. One of them that really stuck out to me was when he told us to not forget to be happy now. I am prone to trying to plan out of the future and I keep finding myself looking forward to when we find a place that we want to live for years and years and where we can buy a house and settle--as if my happiness will peak at that day. I'm so grateful for the reminder to be happy now, because our lives are happening right now--and life is so good! Sorry for another novel--p.s. I missed you too! And, yes, that was me txting you about canning but I got it all figured out! Had a frantic moment there for a second and basically txted everyone I knew. Ha. ya i was able to see the broadcast and his talk was lovely and very inspired. thanks for summing it up nicely for all of us! love uchtdorf! I had chills during this whole talk. When I looked around at the other women you could tell we all knew he was talking directly to US by the looks in our eyes. So special.